Quick filter can be added with a few clicks to your GMX mailbox. We prepared the most frequently used quick filter rules for you. We have already prepared the most frequently used filter rules for you. Click E-mail at the top of the screen (a) and then Settings (b). 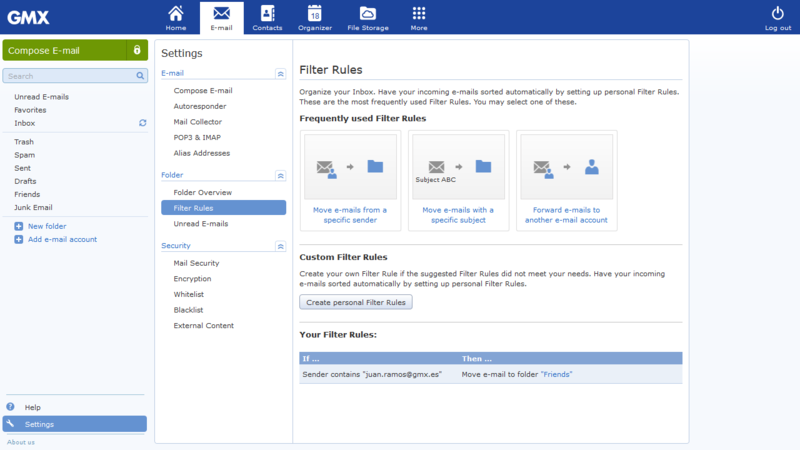 In the Folder section, select the Filter Rules entry (c). In the Then... (f) box, select a task to be performed when the rule applies. Click Create Filter Rule (g) to confirm.